Two panels from the epic 255 feet installation that once lined a storefront in Chinatown are being exhibited once more for the world to appreciate. 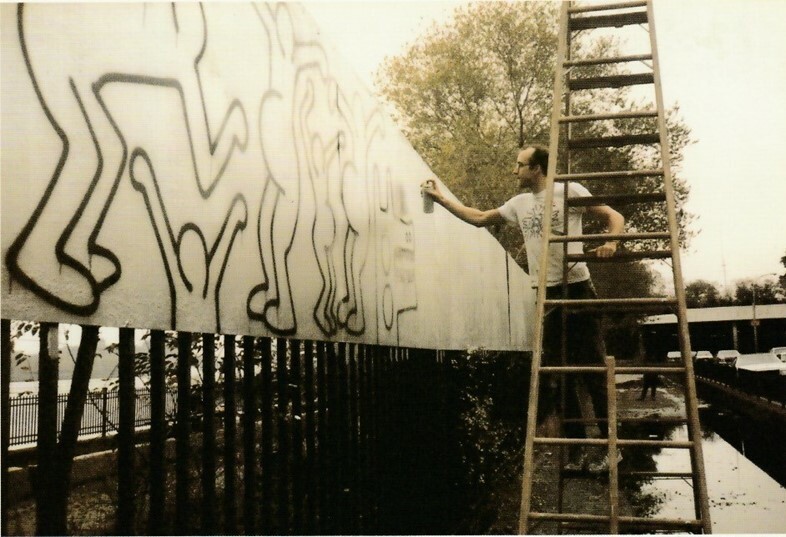 Keith Haring originally revealed Untitled (FDR NY) back in 1984, which stretched alongside a fence that lined FDR Drive in NYC, but the 30 plus panels were subsequently dispersed in 1985. Passersby will be able to take a glimpse at Haring’s iconic spraypainted animations which feature on the metal panel. Among breakdancing outlines, he has two figures riding a giant dog and another with a TV as a head. Although the left hand panel has been tarnished slightly by graffiti, Haring didn’t seem to mind. In a journal entry that he wrote in 1989 after discovering that some panels had been rescued, he wrote that after all the mural had been through, its well-weathered condition “somehow... makes it look even better”. The graffitied artwork reflects one of Haring’s renowned feats of bridging the gap between the artworld and the streets. To respect his wishes to make art accessible to everyone, the installation is being shown outside in public, rather than within the confines of a gallery. 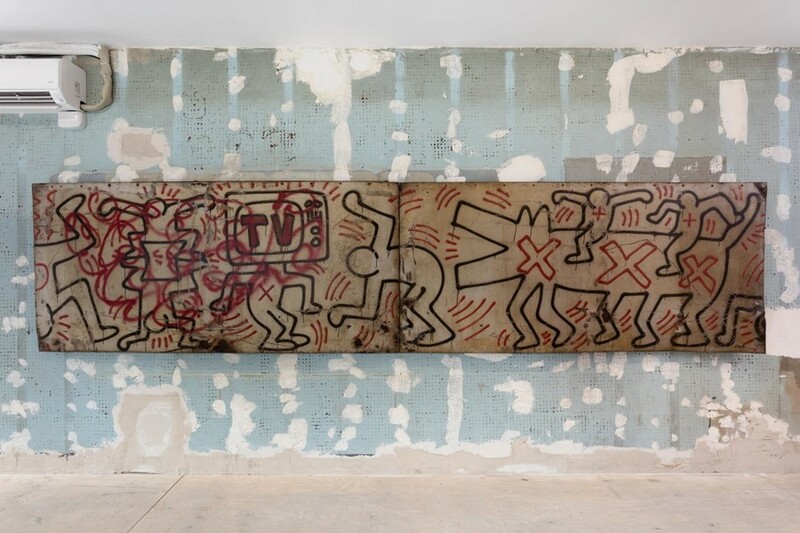 “If I only made paintings in a gallery, I would probably be frustrated,” Haring once said.